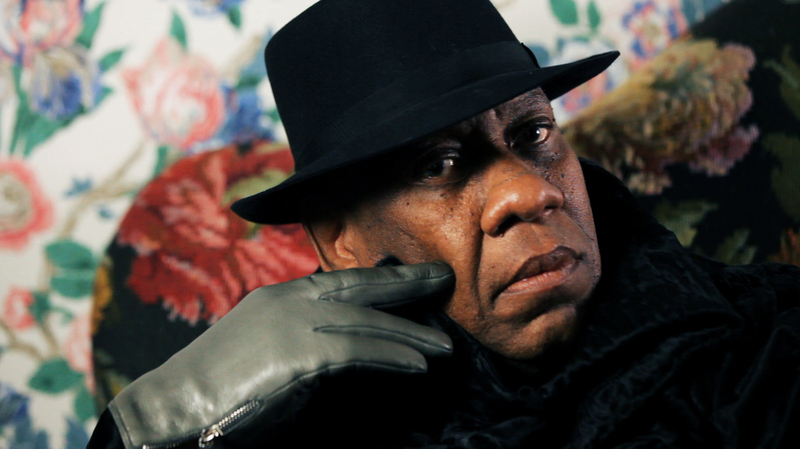 'The Gospel According to André': Look Fabulous, And Know Your History A new documentary, The Gospel According to André, digs into the colorful life of former Vogue fashion editor, French history expert and noted caftan enthusiast André Leon Talley. André Leon Talley is best known for his time as a fashion editor for Vogue — and for what he wears on his large 6'6" frame. "I'm wearing a caftan and a shirt from Marrakech," he says, "and I'm wearing a vintage scarf made out of two vintage saris ... The colors are red, burgundy, gray, and light pink. And that is my signature look for the day." It starts with his childhood in Durham, N.C, where he was raised by his grandmother, who was a maid at Duke University — Talley says that his love of fashion is firmly rooted in his love for her, and for how she dressed to go to church every Sunday: "Handbags, gloves chosen carefully. My grandmother had the most beautiful wardrobe of gloves. Calfskin gloves in the winter, you wore beautiful net gloves in summer, you wore beautiful cotton gloves, so all of that was very much ritualistic, and I loved it." I went to a segregated high school, and I worshiped those experiences ... lifelong experiences, lifelong friendships were made at the high school. You can always go back home and you can always go back to your roots, and find these wonderful, solid golden memories. And I think that that would not have happened had I gone to the integrated school across town, you know? I think I was prepared for it, because I was given unconditional love, so I could approach that space with confidence. I wanted to be in the world of Diana Vreeland's Vogue, that was a world I loved when I was a teenager, I was always tearing the pages out of Vogue and putting them on my wall in my bedroom. So I wanted to see [model] Naomi Sims, I wanted to meet [model] Pat Cleveland, I wanted to meet Truman Capote — and I did, and he was a friend of Andy Warhol's. When you worked for Andy Warhol, which I did, it was my first full-paying job, everyone came to the Factory. Not only did Grace Jones come into the Factory, Arnold Schwarzenegger would come into the Factory, Diana Ross would come to the Factory, Michael Jackson would come to the Factory. It was a melting pot of cultural diversity in New York at the right time. I got to New York in 1974, and I never looked back. 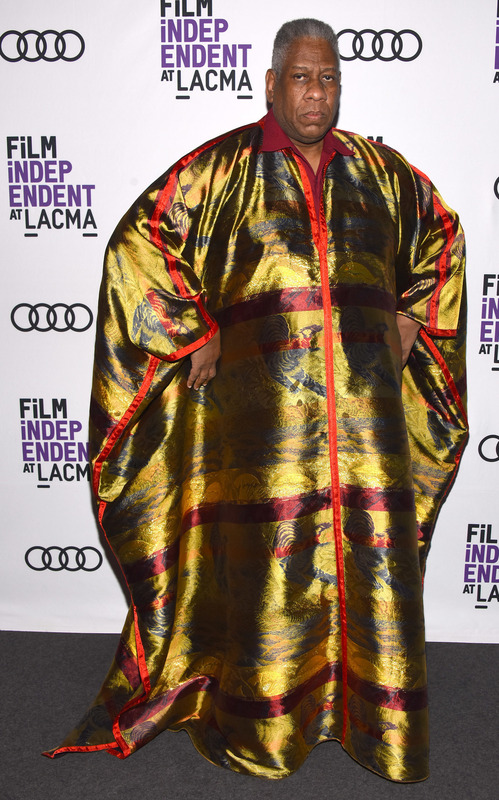 Talley attends a screening of the film in one of his signature caftans. I realized that people can smile at you and backstab you at the same time. That the fashion world is not a gracious world. It has been very good to me, but it's not a world that is really open. You know, to go around making fun of me because I was black was racist, and it hurt. They don't keep me here for my looks, as Judge Judy says. They keep me here for my knowledge ... I have a master's degree, and I'm telling you, the knowledge is important. You can't go forward without having knowledge of the past. I think people see the surface of me, and the performance for the front row. The armor of clothing, expressing myself through individualism in clothing and my choice of clothes. But if you ever hear me talk, it's almost like — and I'm very, very pretentious here, pompous — I see myself as like an Oscar Wilde. I could go around the country and be like an Oscar Wilde, on a one-man tour, show the film and get up and talk for 40 minutes, and people would learn something.